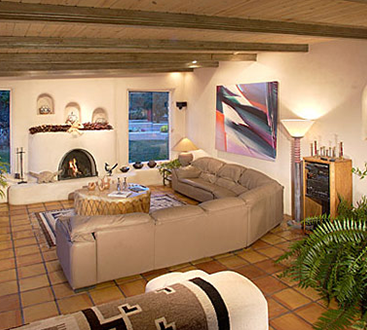 Enjoy the beautiful hand carved furniture and the original art by James Mac in the sitting area of this lovely bed and breakfast suite, complete with kiva fireplace and television. 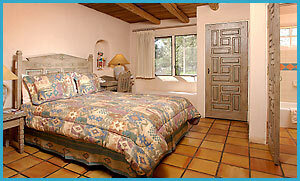 From the private entrance you can step out onto the patio and take in the spectacular views of Taos Mountain and the wide open spaces that surround our lovely bed & breakfast. Amazing sunsets and beautiful star-filled skies add to the charm of this suite. 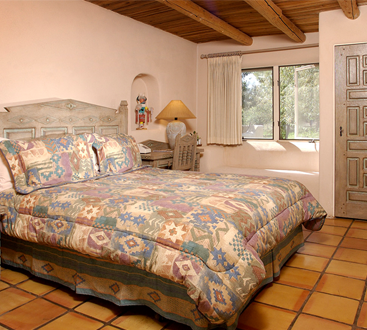 Pass through the carved doors into the bedroom area, where a private bath and a queen-size bed with a fluffy down comforter make this a perfect setting for a lovely weekend getaway. 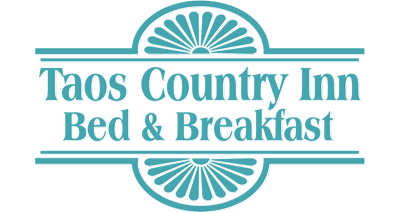 Book your stay at our romantic bed and breakfast in Taos, NM today and you can experience the ultimate hospitality in Taos lodging!